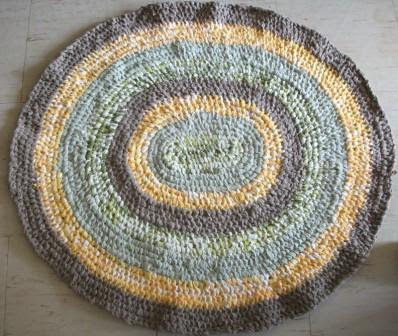 This gorgeous rug was made by my mom out of scrap material. When I asked how she made this she said she followed instructions from Rag Rug Cafe. 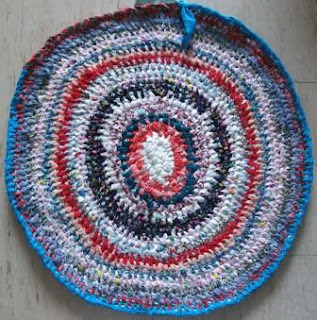 On the site there’s plenty of pictures of other rag rugs, even a heart shaped one! So cute. I must try this one day. Have you made one?